Yesterday, my husband's sister Lya (she's a high-schooler now) told me she was secretly in love with a boy when she was in fifth grade. For Valentine's Day, she was too shy to say anything so she gave him heart-shaped chocolate cookies and a sock monkey anonymously. The guy never knew it was from her. Now that she goes to an all-girl school, I told her we should find the boy and give him the same Valentine presents. She said: "No way! ", plus she's totally moved on from her first school crush. Ahh kids! Of course, we still baked the cookies. I made a few changes by flavoring the chocolate cookie dough with raspberry extract and covered the top with raspberry chocolate. 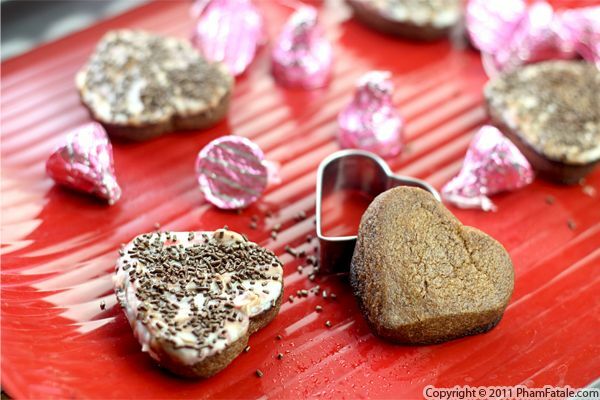 I used Hershey's raspberry kisses, which are available in stores this Valentine season. 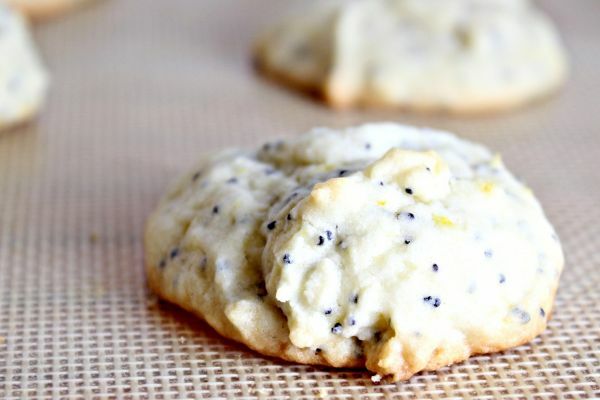 I'm delighted to have Joanne from Eats Well with Others share with us her delicious lemon poppyseed cookie recipe. Joanne is a busy gal; she's a med student in NYC, a marathoner (just like my brother-in-law) and is an avid (and extraordinarily talented) baker. I feel like I'm repeating myself a lot but I think I've told you on numerous occasions that our family loves sweets. In addition to this, we always have guests over, especially for tea time, so having Joanne guest-post a sweet treat seems doubly fitting! I used to be a Costco muffin inhaler. Have you ever had one? They're big...huge, really...about the size of your face. And they're strangely reminiscent of narcotic drugs in their addiction-inducing qualities. I mean, you KNOW you should only have half. But you have a pulse and therefore restraining yourself at all whatsoever is but a mere pipe dream. It's okay. We've all been there. My favorite flavor was the lemon poppyseed. 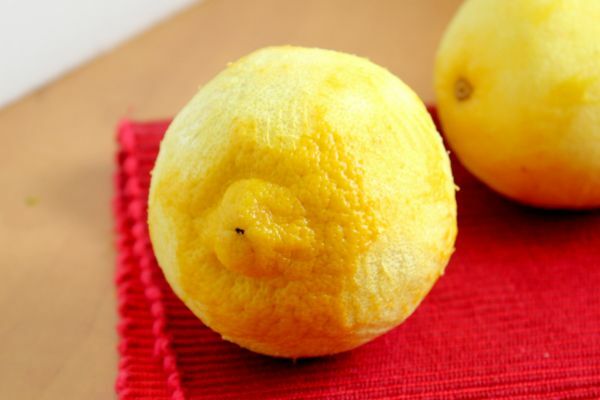 It was infused with almond extract and was smothered in tangy sweet lemon glaze. ratio. Higher OBVIOUSLY being better. Anyway, eventually I grew up and realized just how much hydrogenated fat was in those muffins and how many miles it would take me to burn off just half of one. And so I gave them up. Cold turkey. But a lemon poppyseed-less existence is really just too sad of a thought to entertain for even one second let alone an entire lifetime. Which is where these cookies come in. They have all the same delicious lemon almond overtones of the muffins. (And the glaze. That heavenly glaze...) But without all the heft and heaviness. Perfect for getting your Costco muffin fix or, if you weren't previously a lemon poppyseed "user", just for dipping into a warm cup of tea. Win/win no matter what your circumstance is. 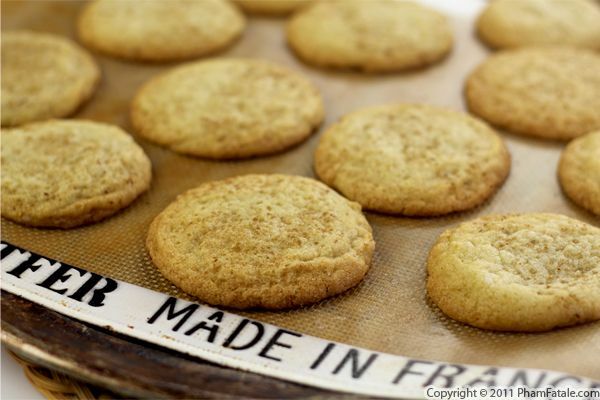 Snickerdoodles are perfect during this holiday season. They're just as delicious as plain sugar cookies, but with a touch of freshly ground cinnamon. The cookie dough is rolled into small dough balls and then rolled in cinnamon sugar. Once they're nicely coated, the cookies are flattened, and when they're baked, a whimsical, crinkled cinnamon top is formed. What makes this batch of cookies very special is the use of Bourbon Barrel Foods smoked salt, smoked sugar and pure vanilla extract. It turned out to be a marvelous choice as it added another dimension to the Christmas cookies. If you want to try out this recipe, head over to BourbonBarrelFoods.com. Their products are some of the best new ingredients I’ve tried in a long time, and I highly recommend them for your sweet and savory cooking. And today only, you have a chance to win an assortment of Bourbon Barrel products by entering on the 25 Days of Giveaways page. Make sure you're a fan of PhamFatale Facebook fan page and Bourbon Barrel Foods or follow @Phamfatalecom and tweet about this giveaway. To make it easy, you can just copy and paste this tweet if you’d like: "BBF Holiday Package #Giveaway from @Phamfatalecom and @BourbonBarrel: http://bit.ly/sp4V7y". 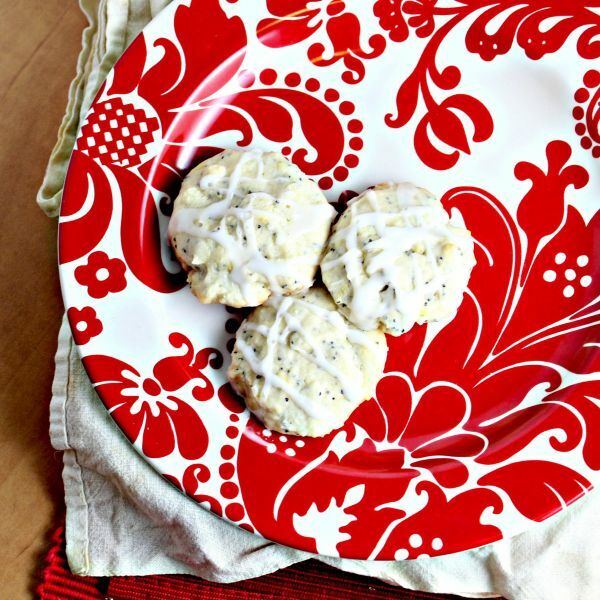 Sugar cookies are synonymous with the holidays. It seems as though I find myself making a batch every couple of days around this time of year. To speed up the process I keep dough frozen for quick use when the family needs a sugar cookie fix. This particular version is flavored with citrus and chocolate. I paired the cookies with a simple orange icing and decorated them with edible Pham Fatale peel-&-press stickers from Ticings. I completed the decorations by sprinkling crystallized rose-petal sugar. The pink color from the sugar matched our custom-made PhamFatale logos. Adorable, no? I’ve used cute Ticings baking decorations several times over the past couple of months. I’m not very good with piping bags, so these decorations come in really handy. If you’d like to get your own on Ticings® decorations, the awesome folks at Ticings have agreed to be a part of our 25 Days of Giveaways, so you can add holiday art to your classic baking. Just enter today on the Pham Fatale 25 Days of Giveaways page. And if you don’t end up winning, don’t despair! Ticings is offering free shipping to Pham Fatale readers. Just use the promo code “PHAM” on your order. Make sure you're a fan of PhamFatale Facebook fan page and Ticings, or follow @Phamfatalecom and tweet about this giveaway. To make it easy, you can just copy and paste this tweet if you’d like: "Ticings edible dessert toppers $30 value #Giveaway from @Phamfatalecom and @ticing: http://bit.ly/sp4V7y". Good luck everyone! Whenever I have time, I prepare breakfast in bed for my husband. And since madeleine cookies are his favorite, I prepared the batter the day before and stored it in the refrigerator to surprise him today. It took me less than 15 minutes to bake them the next morning and I was able to serve hot, straight from the oven vanilla-flavored madeleines to Lulu. If you're planning to serve breakfast, keep these French cookies in mind; they're absolutely delicious and not that difficult to make. Just read my secret to the characteristic bump for an authentic version of madeleine cookies and these cookies are guaranteed to turn out well. 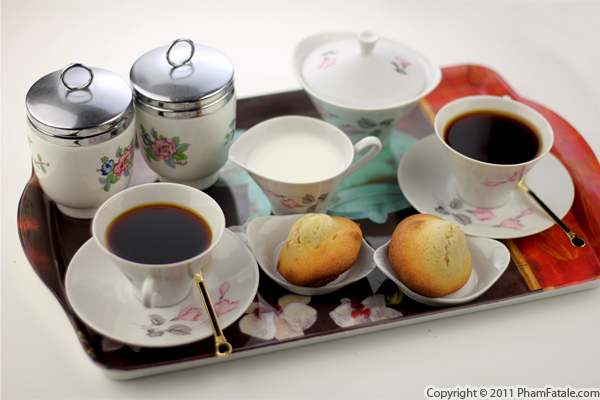 Vanilla is a great flavoring in general, and I think it adds another dimension to madeleines. I can't imagine a home baker's pantry not having a bottle of vanilla extract around the holidays. I used Nielsen Massey vanilla extract in this recipe. In case you’re not familiar, Nielsen Massey vanillas are full flavored and there are distinct differences between the varieties. It may be vanilla, but it's definitely not plain! The folks at Nielsen Massey were kind enough to provide one (two-ounce) bottle of each Tahitian, Mexican & Madagascar vanilla extract and "A Century of Flavor" cookbook as today’s giveaway. Be sure to enter for a chance to win (click on the link). Make sure you're a fan of PhamFatale Facebook fan page and Nielsen-Massey Vanillas or follow @Phamfatalecom and tweet about this giveaway. To make it easy, you can just copy and paste this tweet if you’d like: "Nielsen-Massey Vanilla Extracts #Giveaway from @Phamfatalecom: http://bit.ly/uiJfq9". Good luck everyone! Page 8 of 14 pages.